There is a sense of possibility unlike any other that comes every time you grip the wheel of your Wrangler and throw the transmission into drive. 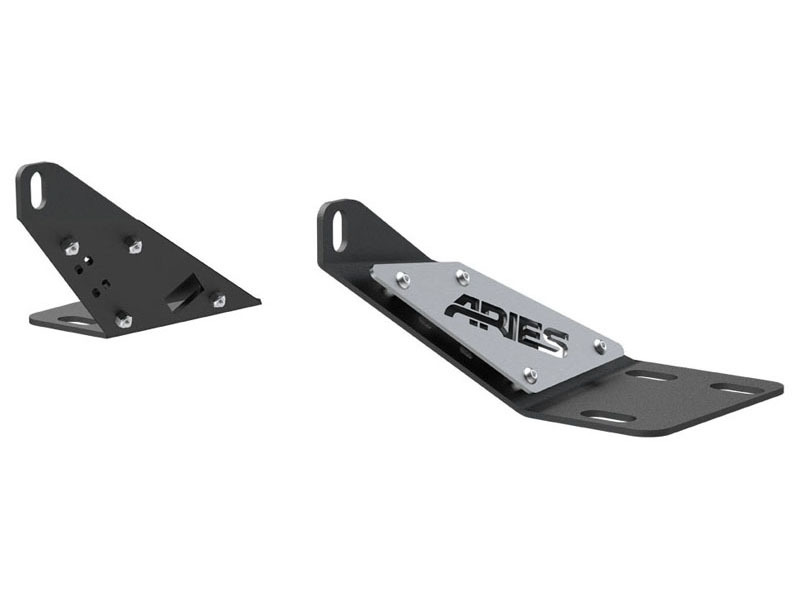 For shedding a little extra light on the trail and standing out from the rest of the herd, Aries Jeep hood light mounting brackets are the accessory of choice. They mount quickly and easily on the hood of the Jeep Wrangler TJ, using factory mounting points, and accept an LED light bar up to 20 inch long (Aries 20 inch single-row LED light bar #1501262 recommended). Because they use existing mounting locations, there is no drilling necessary, and the brackets will not interfere with the factory windshield washer sprayers. To easily outlast rust and keep your Jeep TJ looking like a pro, these LED light bar mounting brackets are made from stainless steel and are shielded in a carbide black powder coat finish.